As we’re in Europe for vacation right now, I got to thinking about ways to cut cost if you really want to visit Europe. I often hear that many people don’t travel across the pond because it’s expensive, and while it definitely can be, there are a lot of cities that are great inexpensive alternatives to the larger spots you might be more familiar with. 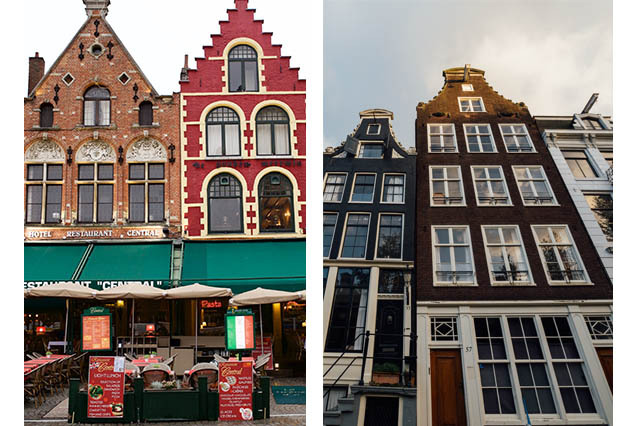 And while all of these cities are beyond worthwhile to visit and see for yourself, sometimes you’re wondering which to choose. 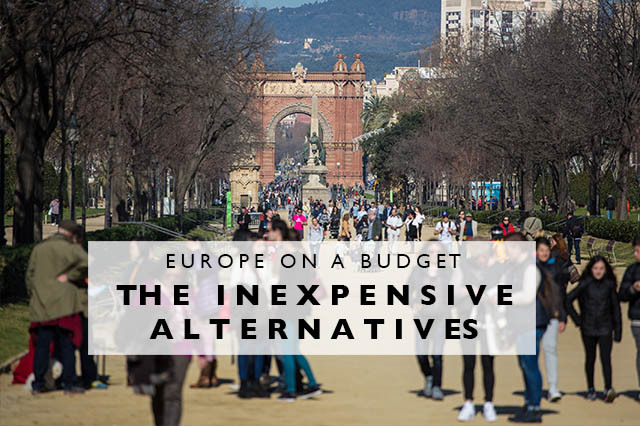 So if you’re wanting to travel to Europe on a budget, these city alternatives might be perfect for you! 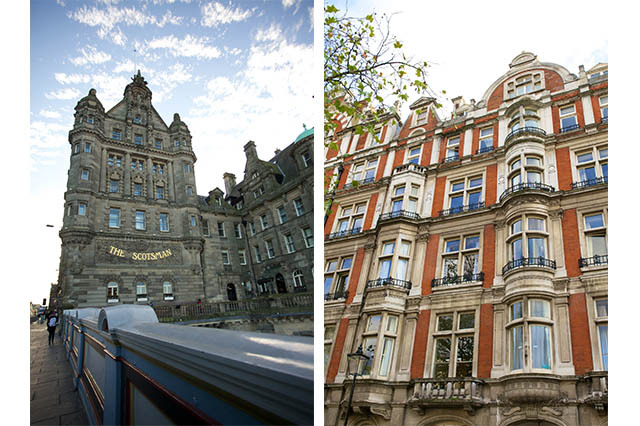 While I adore London, Edinburgh is an amazing city in its own right and everything will be way less expensive. Where in London a good boutique hotel will set you back $250 USD easy, we stayed at the hip and trendy Hotel Missoni in Edinburgh for around $150 USD. Food also will be a lot less and the old world culture in Edinburgh will make you fall in love with it for its own charm. While I crave time in Paris every year and it’s become a tradition for us to stop over in our favorite city at least once a year, Paris can get expensive as it’s a large European hub. But if you’re craving that French feeling, but still want to be based in somewhat of a city with a cheaper price tag? Nice is your go-to spot on the French Riviera. You’ll get everything we love about France but prices will be quite a bit cheaper. 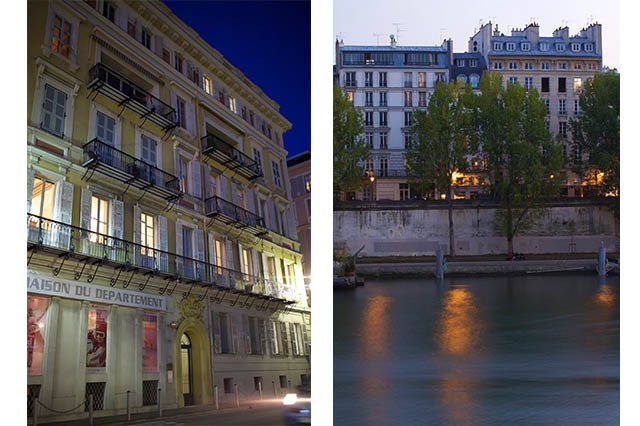 For a nice boutique hotel in Paris you’ll be looking at around $300 USD per night, in Nice… we stayed at the Le Meridien in a room with an open view for somewhere around $200 USD per night. Food will be similarly less, particularly seafood as much of it is local! Looking for a vacation somewhere by the sea with an eclectic charm and amazing food? Both Lisbon and Barcelona will fit this bill but when it comes to budget? Lisbon is one of the most inexpensive cities we’ve visited in Western Europe. But charm? It has plenty! 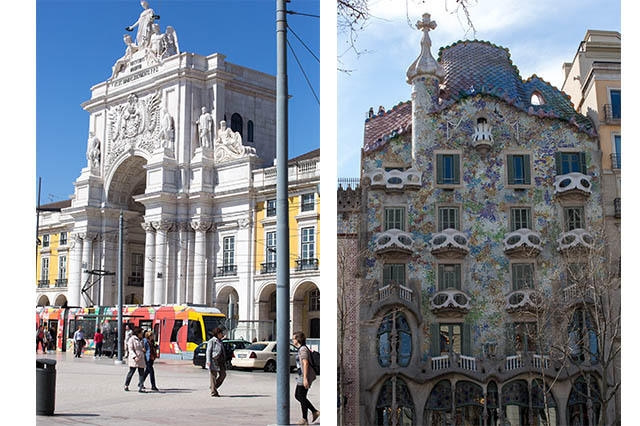 And while Barcelona is a fabulous city in its own right, if you’re on a budget, Lisbon is the place for you! Let me start by saying I LOVE Amsterdam and it’s become a go-to for us when we just need a European escape. But… if you are on a budget and you want that Northern European architecture and food, Bruges, Belgium is a great choice. It has a small town feel, the incredible architecture you expect of this area, canals to wander along and incredible Belgian waffles made fresh in local markets. You’ll also see a lot lower prices on everything in Bruges over tourist-heavy Amsterdam. The good news is that you can easily do Amsterdam as a day trip from Bruges, so two birds, one stone! Looking for a Northern Italian dream vacation? 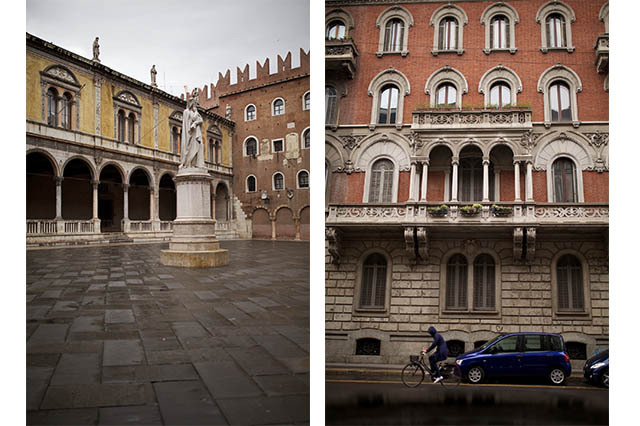 While Milan is the center of fashion and acts as Italy’s big city in the North, Verona offers a budget friendly option while still being incredibly scenic, old world, and oh so Italian.